Product Condition: The Code MIPS Helmet is in Good condition. This item was previously owned for 1.5 months. All items sold as is, all warranties void. The following observations were made regarding this item: * Likely was tried on, may have been worn briefly. Has some light scuffs on the paint part of the helmet. Did not find any cracks or dents. I wiped off some light dirt. * No defects found. * Still comes in the original box, cloth storage/carry bag included. Drop cliffs, slay pow, and huck backies, all the while enjoying the minimalist freeride style of your Smith Code MIPS Helmet. Although it features a low-profile in-mold design, the Code doesn't skimp on durability. The polycarbonate shell and EPS liner bring a high level of protection, with an incorporated Koroyd material that aids in impact absorption as well as airflow. The MIPS System uses a slip-plane technology, reducing rotational force common in angular impacts. While you're throwing tricks under the chair or breaking trail on a backside bootpack you're bound to get a little sweaty, so Smith equipped the Code with Airflow Climate Control vents and AirEvac 2 Ventilation to regulate airflow and keep you from overheating. 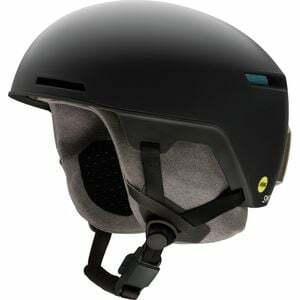 The BOA 360 Fit System lets you easily adjust the fit in case you want to throw a beanie on underneath during frigid storm days, and the Fidlock chin strap system makes it easy to get your helmet on and off without taking off your gloves.